Studies in mice by an international team of scientists suggest that inhibiting a single gene could combat obesity and related metabolic disorders by allowing people to eat as much as they want without putting on weight. When the Flinders University-led team deleted the gene, known as regulator of calcineurin 1 (RCAN1), in mice fed a high-fat diet (HFD), the animals didn’t put on weight because their whole body metabolic rate increased. 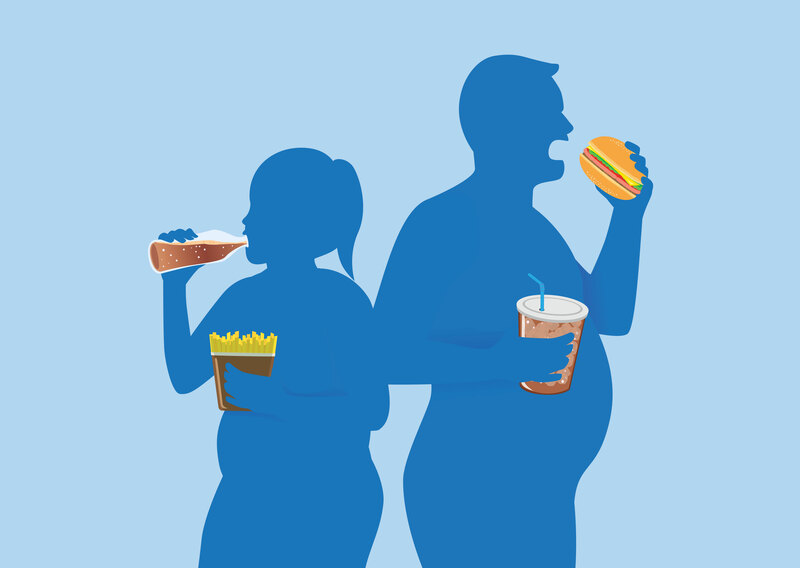 Obesity is a major global health epidemic that is estimated to reduce life expectancy by as much as 6–20 years, and is associated with an increased risk for type 2 diabetes, cardiovascular disease, and cancer,” the authors wrote. The regulation of whole-body metabolism involves the integration of multiple organ systems, and disrupting this homeostatic balance “underlies the growing epidemic in obesity, metabolic disease, and associated comorbitidies,” the researchers continued. RCAN1 is an inhibitor of the calcium-activated protein phosphatase calcineurin, which both clinical and genetic data have implicated in mechanisms that regulate metabolism. The Flinders University-led team’s studies have now shown that mice engineered to lack the RCAN1 gene (Rcan1-KO mice) don’t become obese even after prolonged periods on a high-fat diet, and the animals also exhibit improved glucose tolerance. When the researchers looked at databases on different strains of lean and obese mice, they found a correlation between RCAN1 expression in liver and adipose tissue, with bodyweight, triglycerides, and insulin, which fit in with their results in the RCAN1 knockout animals. “Taken together, these data identify the Rcan1 gene as a gene highly correlated with metabolic syndrome, consistent with our studies of the Rcan1-KO mice,” they wrote. The body harbors two types of fat, brown fat and white fat. White fat is the most abundant type in adults, and acts to store energy, whereas the less abundant brown fat burns energy. The new findings in the knockout mice also indicated that RCAN1 acts by blocking two different mechanisms of NST, one in white fat, and the other in skeletal muscle. The results suggested that blocking the RCAN1 gene can help to convert white fat into brown fat.